By the mid-90s, journalist John Stossel was pulling in Emmy awards left and right. 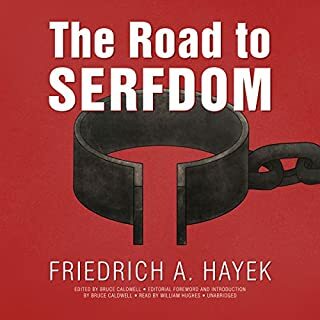 When the new millennium rolled around, however, and Stossel started focusing his energy not just on the hucksters in the consumer world but in the American government, he found his former coworkers and friends were much less supportive. Give Me a Break is Stossel's inspiring story of how a Midwestern boy with a stutter fought his way through the ranks of journalism to arrive as one of the more decorated journalists of his time. 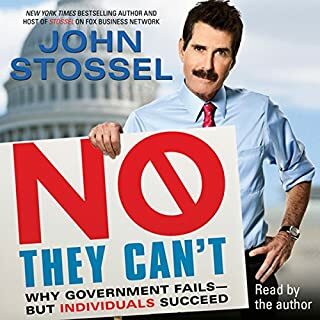 Performed by Stossel himself, with his trademark empathetic delivery, this audiobook is a hard-hitting look at the scammers and hucksters all around us and the man who's worked so hard to hold them accountable. 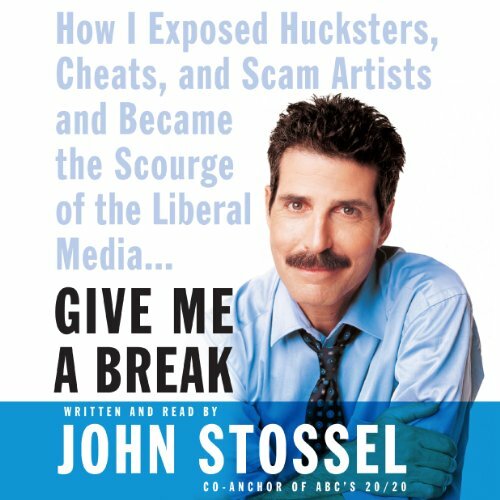 In Give Me a Break, Stossel explains how ambitious bureaucrats, intellectually lazy reporters, and greedy lawyers make your life worse even as they claim to protect your interests. Taking on such sacred cows as the FDA, the War on Drugs, and scaremongering environmental activists, and backing up his trademark irreverence with careful reasoning and research, he shows how the problems that government tries and fails to fix can be solved better by the extraordinary power of the free market. He traces his journey from cub reporter to 20/20 co-anchor, revealing his battles to get his ideas to the public, his struggle to overcome stuttering, and his eventual realization that, for years, much of his reporting missed the point. 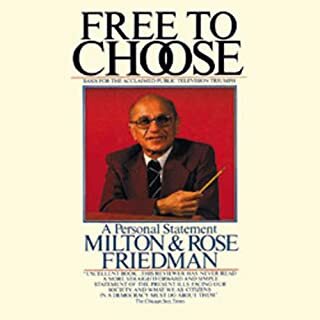 Stossel concludes the book with a provocative blueprint for change: a simple plan in the spirit of the Founding Fathers to ensure that America remains a place "where free minds, and free markets, make good things happen." John Stossel brilliantly captures ignorance and incompetence on both sides of the political aisle when dealing with a variety of subjects. His background in consumer affairs reporting gives him the balance that comes from a no-nonsense approach to the issues of today. loved it, loved it, loved it. Its so good, I cant wait to read it again. Libertarians are coming back strong. Facts and reason at a fun pace. Expressive, nicely-paced delivery by Stossel (after all, he is a professional broadcaster, right?). He snaps off compelling arguments about nearly every hot topic in today's America. If you like his stuff on ABC, you'll dig this, because the listen is laced with actual audio from revealing interviews he conducted over a career that, surprisingly, spans nearly four decades. 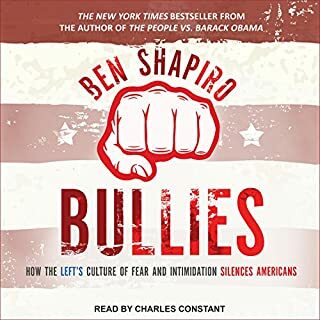 I have been an Audible subscriber for 3 years and this is the best book I have listened to yet. Everything from the subjects and info Stossel covers to way he reads his book is top-notch. 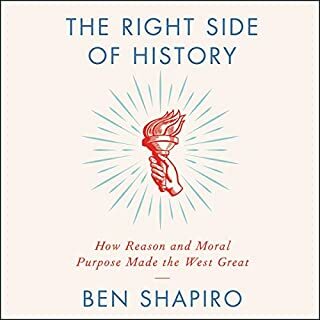 This is somewhat of a starter book for libertarians, but knowledgeable freedom-lovers will appreciate the new facts that he uses to back up his assertions. Liberals and others who believe in government control over our wallets should open their minds to the arguments he makes for personal freedom. The fact that Stossel narrated this himself with some emotion really adds. Hearing his story and the circumstances around his reporting is fasinating. Great! Read well by Stossel. Stossell is passionate about his point of view and he tells us exactly how he came to believe them. The Erin Brokovich movie theme seems to be much less an accomplishment than a manipulation. If you could sum up Give Me a Break in three words, what would they be? Great narrator, I love a book that makes me think about my world differenlty and "Give Me A Break" did that. I really enjoyed it. I highly enjoyed this book. Stossel did a great job writing and narrating it. 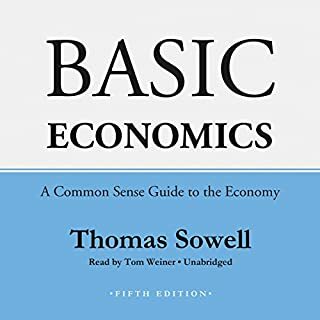 This book should be required reading for every democrat! Excellent, easy to listen to , very interesting!